A Year of Being Here: Stephen Dunn: "Sweetness"
"Sweetness" by Stephen Dunn, from New and Selected Poems 1974-1994. © W. W. Norton & Company, 1995. 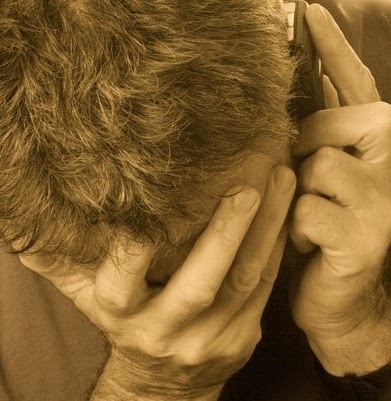 Art credit: Detail from "Man in purple shirt receiving bad news on phone," photograph by Patricia Hofmeester (originally color).